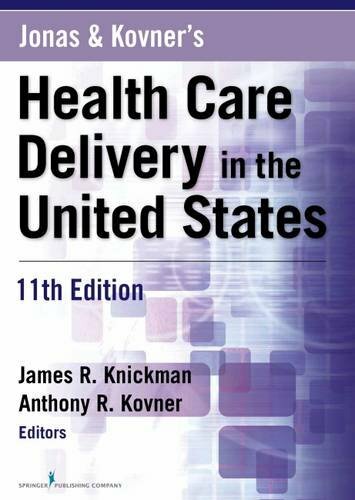 Each of the 16 chapters potentially stand alone in value to the reader, but together they integrate public health and medical care delivery topics effectively… Whatever comes to pass until the release of the next edition, this text will certainly poise future healthcare leaders to steady themselves for the rapidly changing healthcare environment. This fully updated and revised 11th edition of a highly esteemed survey and analysis of health care delivery in the United States keeps pace with the rapid changes that are reshaping our system. Fundamentally, this new edition presents the realities that impact our nation’s achievement of the so-called Triple Aim: better health and better care at a lower cost. It addresses challenges and responses to the Affordable Care Act (ACA), the implementation of Obamacare, and many new models of care designed to replace outmoded systems. Leading scholars, practitioners, and educators within population health and medical care present the most up-to-date evidence-based information on health disparities, vulnerable populations, and immigrant health; nursing workforce challenges; new information technology; preventive medicine; emerging approaches to control health care costs; and much more. PowerPoint slides, Syllabus, Test Bank, Image Bank, Supplemental e-chapter on the ACA, and a transition guide bridging the 10th and 11th editions.